Pfc. Orlan Crabb, son of Mrs. Dora Crabb, jean, husband of Irene Swaim, attended Jean school and Carrol Peak, Ft. Worth. 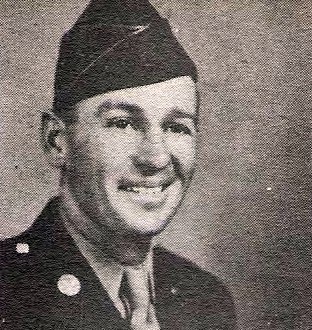 Entered Army in 1943, trained at Camp Croft, S.C. Served in Germany, Ardennes and Rhineland. Awarded Amer. Theater, EAME with 3 Bronze Stars, GCM, Purple Heart, Victory and Combat Inf. Badge. Wounded in Luxembourg, 1945. Discharged in 1945.